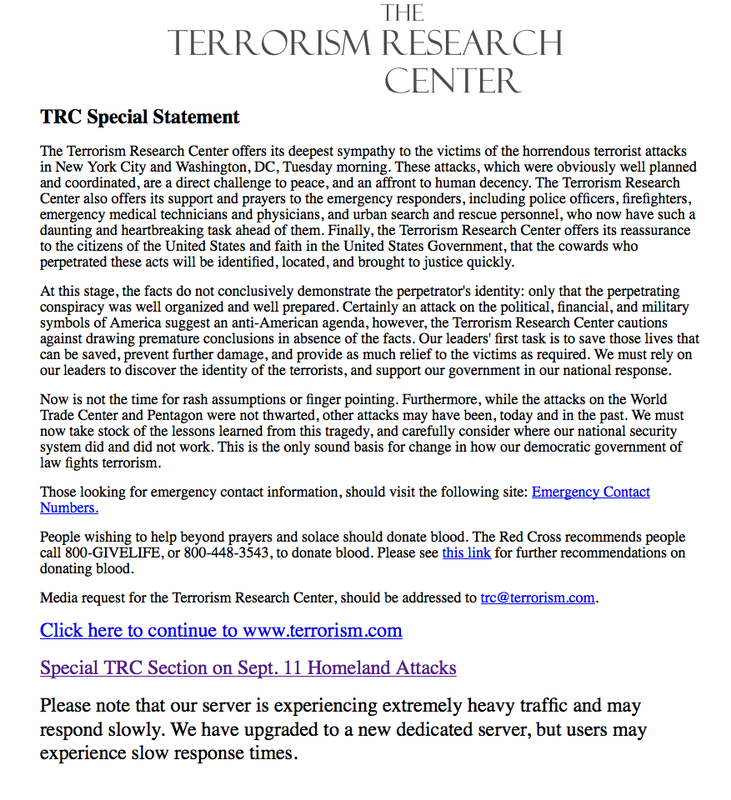 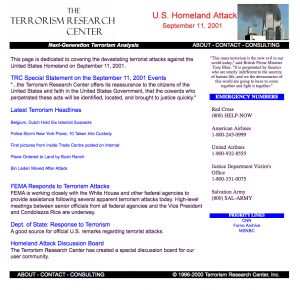 A few interesting screenshots from the Terrorism Research Center on September 11, 2001. 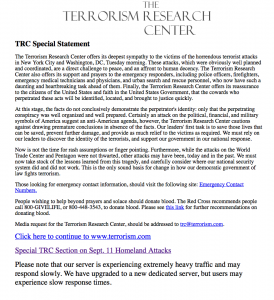 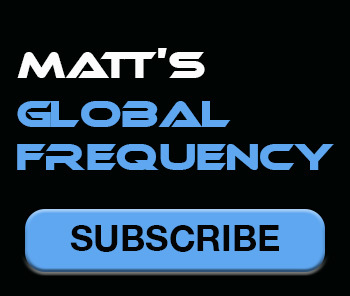 We also set up a special section of the site to track developments relating to the attacks. 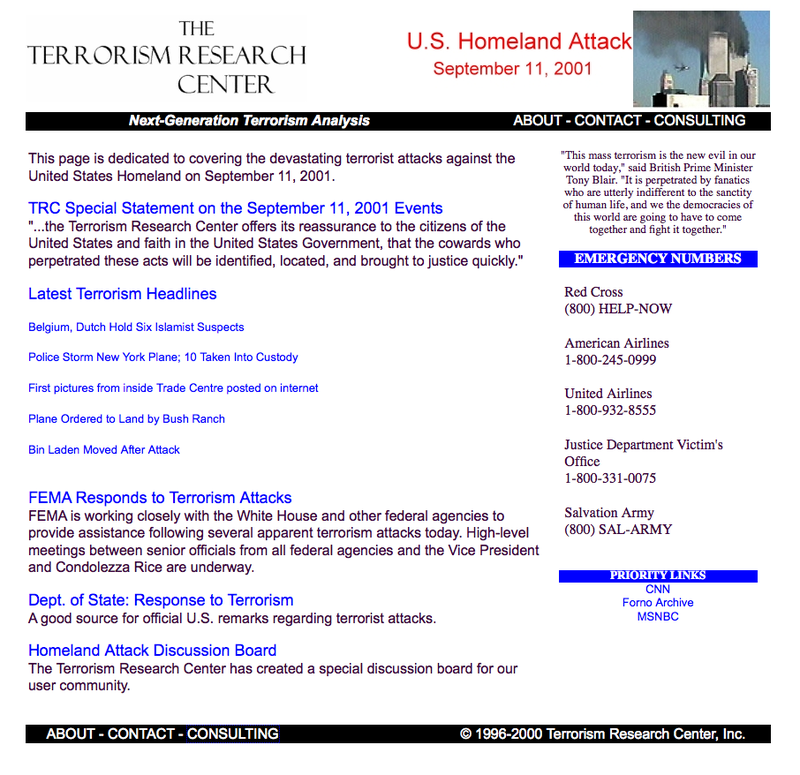 This screenshot is from some time in the 24-72 hours following the attacks.